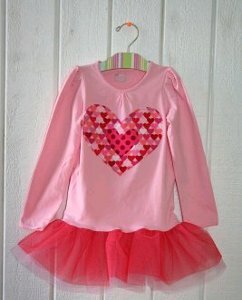 Create an adorable Valentine's Day outfit for any little girl (even a baby) with these easy-to-follow sewing instructions. Make and add a festive red tutu to any shirt or onesie and you've gone from an everyday top to a fun, festive, sure to please top. Tagged Little Girls Tutu Skirt Free Pattern. Bookmark the permalink.